We continue the countdown with the number three prospect, Tony Sanchez. Sanchez had an injury filled 2010 season, but looks to bounce back in 2011. The Pirates drafted Sanchez with the fourth overall pick in the first round of the 2009 draft, passing up top prep pitchers like Tyler Matzek and Jacob Turner to go with what was criticized as a “signability” pick. Tony quickly silenced the critics, putting up strong numbers in West Virginia in his professional debut, including a good amount of power. He continued his hitting success this season with an excellent line in the pitcher friendly Florida State League, despite an injury shortened season. 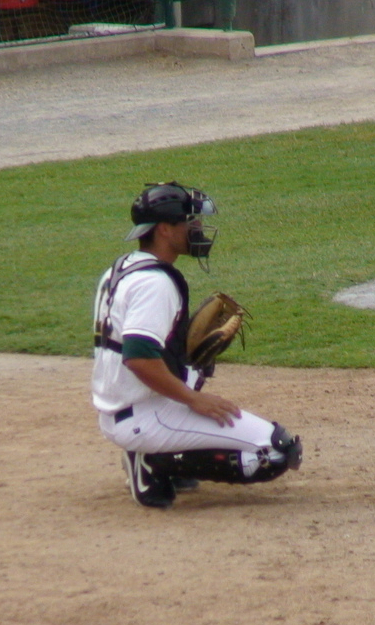 Sanchez started the season with a minor shoulder injury, then was hit in the face with a pitch on two occasions in June, with the second incident fracturing his jaw in two places, and forcing season ending surgery. He returned to action in the Arizona Fall League, where his performance wasn’t the best, although that is to be expected after missing over three months and returning to only play once every three days. 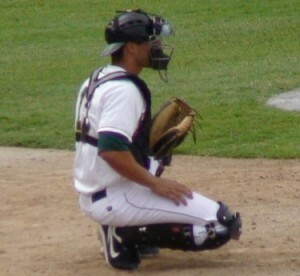 Despite the missed time, Sanchez is expected to start the 2011 season in Altoona. He projects to be a great defender behind the plate, with his defense regarded as major league average at the time he was drafted. He has a borderline plus arm, frames pitches well, and has quick feet, allowing him to excel at blocking pitches in the dirt. He has drawn comparisons to Yadier Molina, due to the strong defense, but his offense will determine whether he can be a potential All-Star like Molina has become. One strong point for Tony has been his power production, with double digit home run totals being very likely throughout his career. If he gets back on track in 2011, he could arrive in the majors by June 2012. Plus, Jones can play a passable RF. Jones should be retained. The logic of keeping him for another year is a no-brainer when you consider NH’s extremely poor F.A. position player signings. This offseason, McLouth became a $1MM+ giveaway in about in a month. Barajas, at best a backup at this stage of his career, was clearly overpaid. And Barmes, not only is he one of the worst OPS+ guys around, but he’s way, way overpaid, not only for ’12 but ’13 as well. Agree with the McGehee use. Considering he was given away as a “favor” to him for Qualls who was about to be DFA’d and might be again soon qualifies as poor use of assets to me.